LYSA PORTH, MBA, Ph.D. is an Assistant Professor and Guy Carpenter Chair in Agricultural Risk Management and Insurance in the Warren Centre for Actuarial Science and Research, University of Manitoba. Lysa also holds a cross appointment in the Department of Agribusiness and Agricultural Economics at the University of Manitoba, and Adjunct Professor in the Department of Statistics and Actuarial Science at the University of Waterloo. She holds a Ph.D. in Actuarial Science and Agricultural Economics from the University of Manitoba. In addition, Lysa holds an MBA, and a B.Comm. Hons. in Finance and Actuarial Science. Her past industry experience includes work at the Great West Life Assurance Company. Lysa's research focus is in agricultural risk management and insurance, combining aspects of actuarial science, agricultural economics, risk management, and finance. Her research covers a wide breadth of topics such as crop insurance, price insurance, revenue insurance, livestock insurance, business interruption insurance and financial risk, weather insurance, weather derivatives, agricultural derivatives, and government agricultural and food insurance programs. Her recent research has primarily focused on developing innovative risk management products to achieve more stable incomes for agricultural producers, as well as more efficient risk management solutions for agricultural producers in Canada, and the world. Bruce Stephen is the Director of Agriculture and Agri-Food Canada's AgriRisk Initiatives program. In addition to 15+ years of experience with AAFC's crop insurance program, Bruce has been deeply involved in the development of new risk management products and services for the agriculture sector. From 2003 until 2010, Bruce managed the Private Sector Risk Management Partnerships program, which delivered financial and technical support to industry-led research and development projects to identify agricultural risks and options to address the producer-level financial impacts those risks. With the Growing Forward 2 framework launched on April 1, 2013, Bruce is currently managing the federal role in the AgriRisk Initiatives (ARI) program. ARI has two program streams: the first stream is Research and Development - provides federal financial and technical support to industry-led R&D projects addressing areas of agricultural risk management where tools are absent or inadequate. The second business stream under AgriRisk Initiatives - Administrative Capacity Building - provides federal cost-shared financial support in partnerships with provincial or territorial governments to projects led by industry or the provincial/territorial governments themselves. Bruce has an MSc in Agricultural Economics from McGill University, and a BSc in Economics from Trent University. Dr. Steve Frey is a Senior Scientist at Aquanty Inc. In 2011 he received a PhD in Earth Sciences from the University of Waterloo. Following his PhD, Steve was a Visiting Fellow at Agriculture and Agri-Food Canada. His current research at Aquanty Inc. is focused on the use of advanced simulation technology to predict the behavior of surface- and groundwater resources, and he is currently leading an initiative to develop a better understanding of climate and land use-change related risks to agricultural sustainability. Predicting flood and drought related risks to agricultural production under climate change and land use change is a daunting challenge, for which there is no silver bullet. However, as technology evolves, new tools are emerging to help address this challenge. For example, recent advances in computational methods and computing power are making large-scale high-resolution simulations of coupled surface water, soil moisture, and groundwater flow systems an achievable reality. By fully integrating these key components of the terrestrial hydrologic cycle, a quantitative assessment of water and climate related risks to agricultural production can be undertaken within a single analysis framework. Once assembled, these hydrologic simulators can serve many objectives within the context of risk assessment, including those focused on climate change and land use change impacts. While this simulation technology has been rapidly maturing in recent years, the majority of integrated hydrologic modelling is still conducted within an academic research setting, and real-world applications are currently limited. However, this trend is shifting as more-and-more water sensitive industries, such as agriculture, recognize the value of having a holistic understanding of how climate and hydrologic stressors can impact their operations. In Canada, there are currently a number of initiatives underway to utilize integrated hydrologic simulators for characterizing climate and hydrologic risks to agriculture, across a range of temporal and spatial scales. The focus area for two of the largest projects includes the South Saskatchewan and the Assiniboine River Basins, which are both located in the North American Prairie region, but are unique in that they are each subject to significantly different hydrologic regimes. These two basins, which collectively extend across approximately 300,000 sq-km of predominantly agricultural land, suffer from recurrent flood and drought events where losses can reach CDN$1 billion. Accordingly, they are prime candidates upon which to test and demonstrate emerging technology for characterizing water-related agricultural risks. In this presentation, an overview will be given of the technology that underlies the hydrologic simulators, as well as how these platforms are being constructed, and then ultimately used to assess water-related risk endpoints such as soil moisture levels and river flow rates under changing climate and land uses within the Canadian Prairie region. CalumTurvey joined the Cornell faculty in 2005 as the W.I. Myers Professor of Agricultural Finance. Prior to this appointment he was Professor and Chair of the Department of Agricultural, Food and Resource Economics and director of the Food Policy Institute at Rutgers University (2002-2005) and professor in the Department of Agricultural Economics and Business, the University of Guelph in Canada (1988-2002). Professor Turvey has published over 150 articles in agricultural finance, risk management and related topics. While maintaining and extensive research effort on Western finance and risk issues, recent years has seen an increased focus on rural credit issues in developing economies with activities in China, India, Kenya, and the Dominican Republic. Of particular interest is research on informal credit relationships between friends and relatives in China and India, examining credit demand and credit demand elasticities, and evaluating the use of specialized insurance products based on weather risk and other forms of risk contingent credit and micro credit. 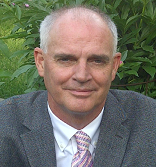 In addition to these academic interests professor Turvey is the editor of Agricultural Finance Review He holds a BSc(agr) University of Guelph (1983); MSc University of Guelph (1985) and PhD Purdue University (1988). The sustainability of public debt is a key issue in macroeconomic research, as it is closely related to the growth and development of a country. A debt crisis triggered by economic downturns, over borrowing, plummeting commodity prices, or even natural disasters would incur social welfare and permanent income losses in the debtor country. The sovereign debts of many least-developed countries (LDCs) are especially prone to natural disasters for several reasons: (1) the tax base of many LDCs relies heavily on a few disaster-prone sectors like agricultural and tourism; (2) the GDPs of LDCs are too small to absorb the hits of natural disasters; and (3) LDCs typically don't prepare budget buffers for emergency aid in case of a natural disaster. To prevent natural disasters from causing a sovereign debt crisis, a country needs to insure against natural disasters and create automatic debt stabilizers. CAT bonds could serve as an insurance contract, help repay the sovereign bond, and allow the debtor country to avoid sovereign default. The purpose of this paper is to investigate the social welfare features of CAT bonds and sovereign debt default decisions. In particular, we query: (1) Under what conditions could a debtor country issue a CAT bond, and will it increase social welfare? (2) Could newly issued CAT bond crowd out the previously optimal number of sovereign bonds? (3) Will the debtor country have less incentive to default on its sovereign bonds if more CAT bonds are issued? The answers to those questions would help LDCs better understand the relationship between the government-sponsored CAT bond and the sustainability of their sovereign bond. Ron Weber has been working for KfW Development Bank since 2008 and currently holds a position as Principal Sector Economist in the Financial Sector Policy Unit. He advises the German Government on climate risk insurance, and develops new disaster risk financing instruments for KfW. In addition, he is an independent researcher at the chair of Oliver Musshoff at University of Goettingen (Germany) where he obtained his PhD in Agricultural Economics in 2014. Prior to his appointment as a Sector Economist, he worked for KfW's independent evaluation unit and the financial sector development unit for sub-Saharan Africa. He graduated with a Master's degree in Agricultural Economics at Humboldt University Berlin (Germany) at the chair of Martin Odening in 2007. His research interests include access to financial services for micro, small, and medium-sized enterprises in developing countries with a focus on credit and (index) insurance for agricultural firms. The presentation will focus on the indirect effects of (index) insurance to stimulate adaptation and other risk management measures on farm but also on government level. Furthermore, it will be explained how the recognition of such indirect effects have increased the demand and stimulated the development of insurance products especially for humanitarian aid purposes since the COP21. Dr. Srini Sundaram, founder and CEO, AGVESTO, is a technology entrepreneur based in London with experience in financial technology, risk, engineering. Coming from a background of living with vulnerable fishermen community in early years of his life, Srini is knowledgable about the impact extreme events can have on communities lives and the risks they face for daily living. He is deeply passionate about natural resources, climate change, rural empowerment and driven by his desire to help community in need using technology. He has previously spent years in Rolls Royce to build analytical products for aviation risk management. Srini also co-founded Aire, a financial technology startup based in London, a credit reference agency to help unbanked and underbanked people to qualify for essential financial products. Prior to these ventures he has worked in leading digital finance brands such as Wonga and assisted a leading digital lender in Europe. There are three major themes by which Agricultural Insurance products and their success is measured upon in the long term. Their ability to mitigate economic losses by addressing ever expanding Insurance protection gap, their ability to manage the natural resources losses by providing adequate protection as financial instruments and finally the ability to support agriculture in managing the transition risk due to human capital losses via labour market over the last few decades. A recent report by Climatewise has shown that the annual protection gap has now reached $100bn due to natural catastrophes. It is well documented that the use of data and technology can assist insurance community in minimising the protection gap. However for these technologies to deliver at scale as products, there are a number of challenges they have to overcome. In recent years, Agricultural insurance markets is seeing innovation such as product innovation with alternative risk transfer instruments such as ILS Cat bonds, Climate/Green Bonds along with traditional insurance products such as Yield and Index based products. The risk aggregation is also seen an increase due to rise in the land transactions with larger institutions purchasing the farmland worldwide. This market shift requires active investment in capacity building to have a transparent systematic data driven products and insights available to stakeholders in insurance industry to cope with the structural shift. In this context, Agvesto has been working in partnerships with space agencies providing risk management capacity and infrastructure to insurance community with its data driven platform. This keynote presentation provides an overview of practical considerations in using data and technology in a commercial environment, an introduction to Agvesto's Insurance risk platform and practical considerations related to use of the platform worldwide. Antoine Roumiguié is working as a Research Engineer at Airbus Defence and Space in the Agriculture/Environment Department. He is focusing on R&D activities for grassland and index-based insurance. After a Master Degree in agronomy, he completed his PhD in 2016 ("Development and validation of a forage production index based on remote sensing time series - The case of an agricultural insurance in France"). Through his previous experience, he acquired a deep knowledge for remote sensing index validation and semi-empirical modelling. Currently he is in charge of further developing the index for grassland production, particularly by combining remote sensing and weather data. This work presents the Grassland Production Index (GPI), an index designed to monitor the near real-time grassland production at national scale using satellite imagery. GPI is currently implemented in an index-based insurance in France. It is calculated using a biophysical characterization of the vegetation from remote sensing time series. Insured producers are indemnified based on the deviation from historical reference within a defined geographic unit. This service is commercialized by Airbus Defence and Space since 2016 and first research were initiated in 2010. Others pioneering products have been developed to provide insurance to farmers based on vegetation status indicators derived from remotely-sensed images time series and highlight main challenges: dealing with the spatial resolution of satellite images and the size of grassland parcels; managing the existence of missing data within the time series due to cloud contamination; calibrating the biophysical parameter taking into account local soil and climate conditions and also sensors effect; decreasing the basis risk. To deal with these issues, Airbus developed the following methodology: (i) using biophysical parameter (fCover) obtained from an inversion of radiative transfer models applied on a multi-sensor MODIS/MERIS/SENTINEL-3 10-days images time series, (ii) application of spectral disaggregation model enabled to determine a fCover time series for grassland signature in a 6*6km grid covering France. Thanks to the MODIS/MERIS data archive, the variation of annual Grassland Production Index (annual fCover integral) is computed since 2003 and is comparable to a variation of annual grassland production.